Burge, Warren & Ridgley (BW&R) could rightly claim to be the first English fountain pen manufacturer. 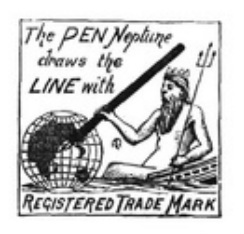 By 1900 the Neptune pen brand name was well-known by both trade and the public in Britain, even if the name of its manufacturer has little resonance today. Apart from the Neptune, their pen brands included the Tom Thumb stylo, the Warren, the Duple, the Compacto, the Reverso and many others. This website is dedicated to the Neptune fountain pen and the other pens of Burge, Warren & Ridgley.